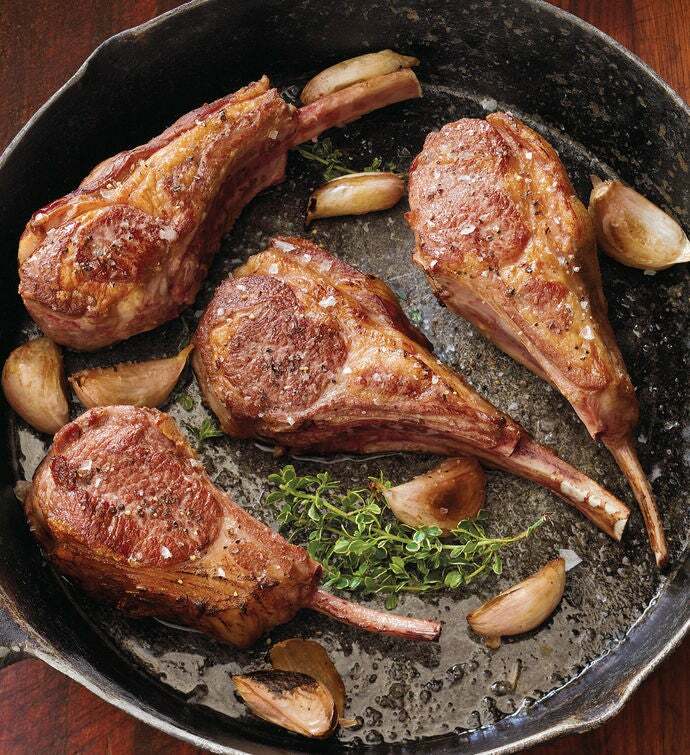 Rich flavor is what makes our lamb so special. Hand carved and trimmed of excess fat, these lean chops are expertly Frenched for beautiful presentation. They're incredibly easy to prepare, whether grilled, broiled, or pan-seared. A touch of Tuscan Herb finishing butter enhances the lamb's natural flavor.